Windows XP does have the ability to format drives with the NTFS file system, but you wouldn't know it by looking at the format dialog—normally the option is disabled. 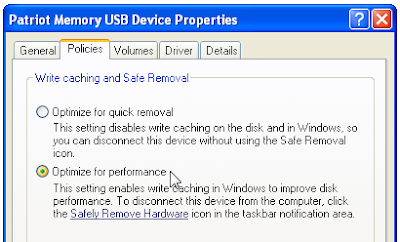 To enable it, open up Device Manager and find your USB drive, go to the Properties -> Policies tab and then choose "Optimize for performance". Once you've done this, you'll see the NTFS option in the format dialog. The choice between NTFS and FAT32 isn't cut-and-dry—while NTFS does allow larger file sizes, encryption, compression, and permissions, there's a lot more overhead to using it—and more importantly it won't really work on non-Windows systems.